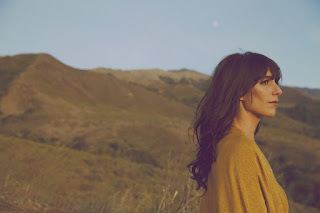 In the deluge of recordings these days categorised under the Americana banner, especially to listeners overseas, it has to take a special release to raise itself above the parapet and Nicki Bluhm’s new album LOVED WILD LOST splendidly achieves this. 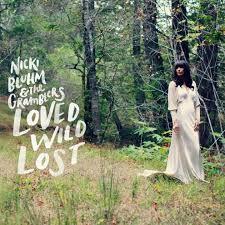 The record will drop in the UK on October 9 and is the second outing for Nicki with her assembled band The Gramblers. By taking a large slice of California influence, Nicki and her pivotal album pilot, husband Tim Bluhm, have delivered a studious record representing a team effort and proving an archetypical sponge of the American roots spectrum. The record will appeal to those with a fine taste and who demand a release that treats them with respect. This is effectively Nicki’s fifth album, following 2 solo records, a duet record with Tim and a single Gramblers effort, and will mature like that proverbial fine wine upon the required repeat listens. Such blossoming will reveal traces of country, rock, soul and even sophisticated pop which is a favoured bunch of traits for many followers of Americana music who appreciate this subtle blending. The path this album follows will keep you on your toes throughout its forty-one minute playing time and enables the sound to distance itself from popular trends, thus giving it an air of originality. The track selected for initial promotion is the slightly pop orientated ‘Waiting on Love’, mainly understandable from a commercial viewpoint, but far from representative of the feel of the album. It is probably more accurate to say that no single style dominates the record, yet the two country influenced tunes make sound cases for the premium moments. There is a warm and comforting nostalgia to the glorious song ‘Simpler Times’ with stellar steel and a suitable keyboard intro. Its cousin track is ‘Queen of the Rodeo’ which also flourishes with country appeal. Moving into slightly alt-country territory is the appealing lounging track ‘Me and Slim’ with a vocal performance more than a touch familiar to that of Angaleena Presley. Of course California, the home state of the band, is synonymous with the country rock side of American roots. A rock tinge can be found within the cool grooves of ‘Heartache’, while streaks and shades exist in the track ‘Heart Gets Tough’. No West Coast release is complete without some jangly guitar and ‘Love Your Loved Ones’ ,with its 60’s vibes greeting a duo song delivery, sees a neat mix of quality guitar work and enjoyable melody. ‘Mr Saturday Night’ is amongst the most ear pleasing tracks on the record and uses its beat driven, rootsy groove to take the sound in a rock ‘n’ soul direction. Nicki stretches her vocals most on the bluesy effort ‘High Neck Lace’ which slows the pace down amidst a more prominent string arrangement. This leaves the final two tracks being the ones that open and close the record. ‘Only Always’ acts as an ideal starter and successfully marries the effective combination of voice and sound. A soul piercing finale in ‘Heavy Hey Ya’ appropriately frequents the finale position as its piano accompaniment adds to the heavenly gospel feel made even better when the organ kicks in. LOVED WILD LOST is a credible and noble album fully deserved of forthcoming UK exposure in the wake of its previous stateside release. It is worthy of your consideration and presents Nicki Bluhm and the Gramblers as a vigorous and zestful act capable of making mightily enjoyable music.